You knew it was coming, what with that not-so-subtle teaser website put up by Sega last week, but the publisher has gone one better over the weekend, seemingly (and accidentally) revealing that Valkyria Chronicles 3 will be shown at TGS. Is This Teaser Site For Valkyria Chronicles 3? Sega published its four-day schedule for the 2010 Tokyo Game Show recently, and on Thursday the 16th at 2pm was planning on showing something special. Something unannounced. Thing is, when you changed the .gif of the schedule to a .jpg, you got a different image, one with the company's "secret" game revealed. 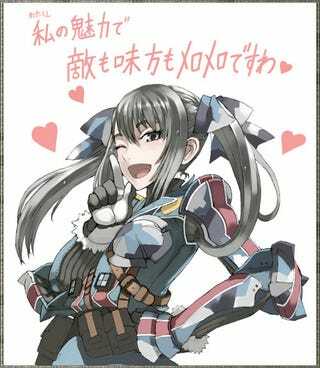 And that game is Valkyria Chronicles 3. The apparent loophole has since been closed, but the internet, it never forgets. So, Thursday it is! Can't wait.